Plain old glass is boring. 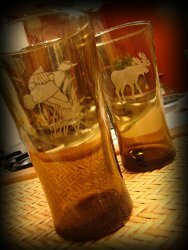 Use old drinking glasses to create Rustic Etched Drinking Glasses from Linda Peterson. 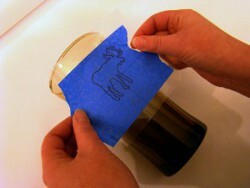 This recycled craft ideas is budget-friendly and a fantastic excuse to get creative. See this project and more in 12 Valentine's Day Ideas for Boyfriend! 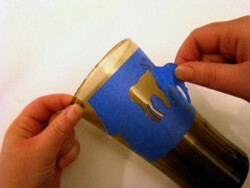 Apply painters masking tape to the top of the clear vinyl laminate. 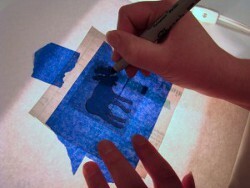 Use a light box, or a window to trace pattern onto tape with marker. Apply to glass where desired. Smooth edges of laminate down. Hint: If drinking glasses are curved, cut a couple of little snips in the side so that all the vinyl material will lay down on the glass. Cut out the center of the motif with craft knife. 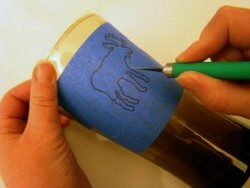 Apply etching cream according to manufacturer’s directions and leave on for recommended time. Rinse thoroughly under water. Dry glass. Love this idea! Can't wait to give it a try! !